A number of Indiana lawmakers, including Indiana Attorney General Greg Zoeller, came together Aug. 19 to discuss a plan to expand protections for servicemembers with active military status. The Indiana Servicemembers Civil Relief Act would enforce civil penalties for federal SCRA violations , according to TheStatehouseFile.com. It also includes protections from obligations specific to Indiana that the federal SCRA doesn’t cover. Some of these might include debt collections, evictions, foreclosures, judicial proceedings or cell phone service terminations. A number of other states also have laws to complement the federal Servicemembers Civil Relief Act. Among these are Illinois and Kentucky, according to the news source. An estimated 550,000 veterans call Indiana home, giving it one of the largest veteran populations in the United States. 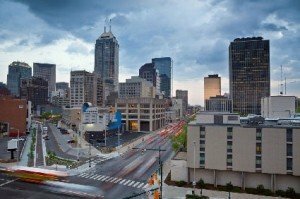 Recent litigation against a Georgia company may have helped spur the drive to create a complementary Indiana SCRA law. Zoeller and 12 other attorneys general took action together in July against Rome Finance. The company was offering misleading credit options to servicemembers with active military status, according to The Indy Star. Rome Finance now must repay about $92 million in debt relief to U.S. servicemembers, according to the news source. The 261 Hoosier servicemembers will get close to $1.5 million of that. The act will still have to make it through the Indiana General Assembly in January before it becomes law. But such situations demonstrate the seriousness with which state and federal legislators take this law. The Indiana SCRA adds teeth to a bill that already can result in stiff penalties and fines. These types of laws make it even more important to do a military records search before pursuing litigation that might infringe on the SCRA.